By Melissa Lennig on October 28, 2018 2 Comments. This content contains affiliate links. As an Amazon Associate I earn from qualifying purchases. 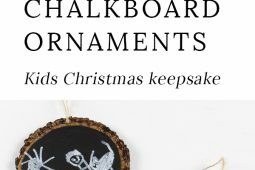 Shared below is a tutorial for Easy Keepsake Chalkboard Ornaments, guaranteed to make your heart swoon every holiday season. 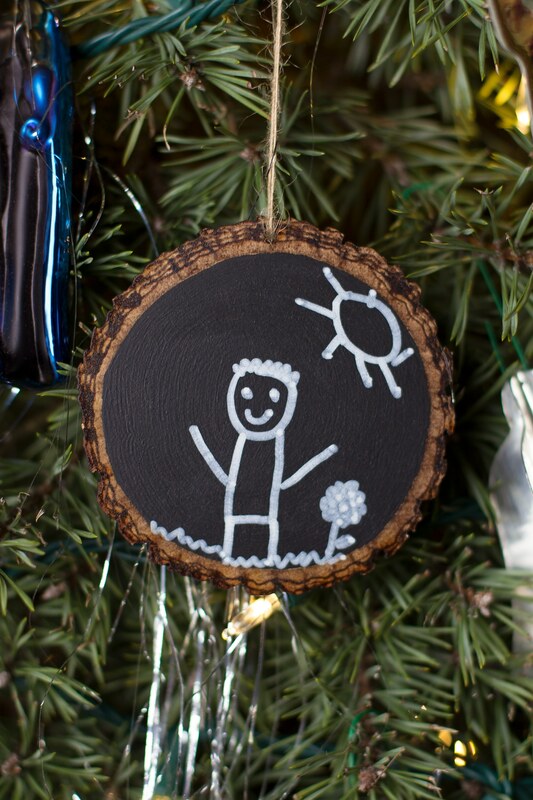 Made with wood slices, chalkboard paint, and your child’s drawings, they are the perfect Christmas gift for moms, grandparents, and teachers. If you’ve been following along for a while, you know that I’m sentimental and adore keepsake crafts. But here’s the problem…my boys are now 6 and 8! Their hands and feet are getting big—almost too big for classic hand and footprint art. So what’s a Mama to do? One idea is to preserve the other little bits…handwriting, sketches, drawings, and of course take a lot of photos. 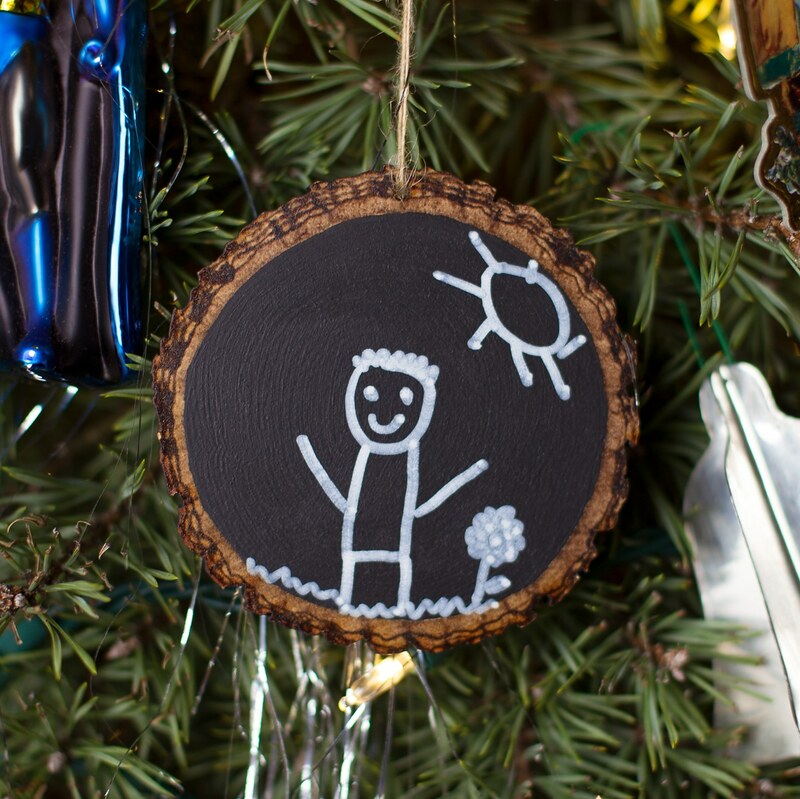 This holiday season, we created an Easy Keepsake Chalkboard Ornament that actually uses “permanent” chalk! My boys’ illustrations will now be enjoyed for many years to come. 1. After gathering supplies, use the paintbrush to apply 2 layers of chalkboard paint. Be sure to let the paint dry in between layers. 2. 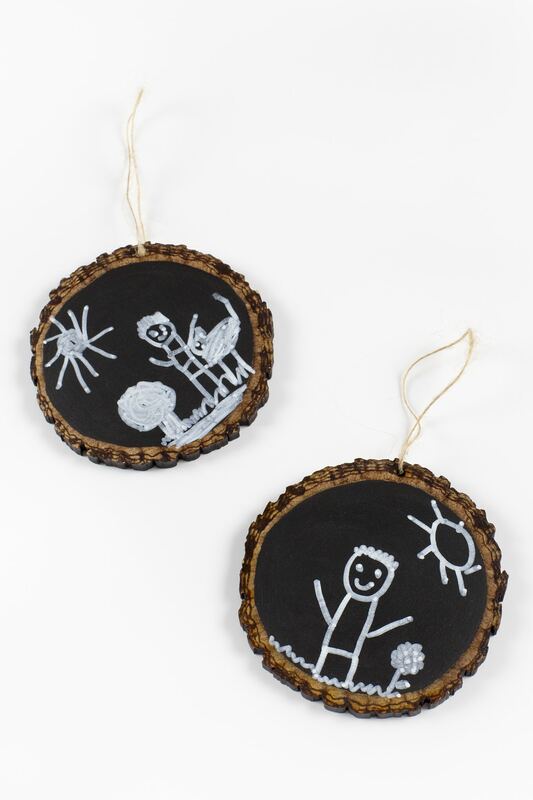 Invite children to draw a small picture on the dried chalkboard paint. I reminded my boys to draw carefully, as the chalkboard markers we were using were permanent. 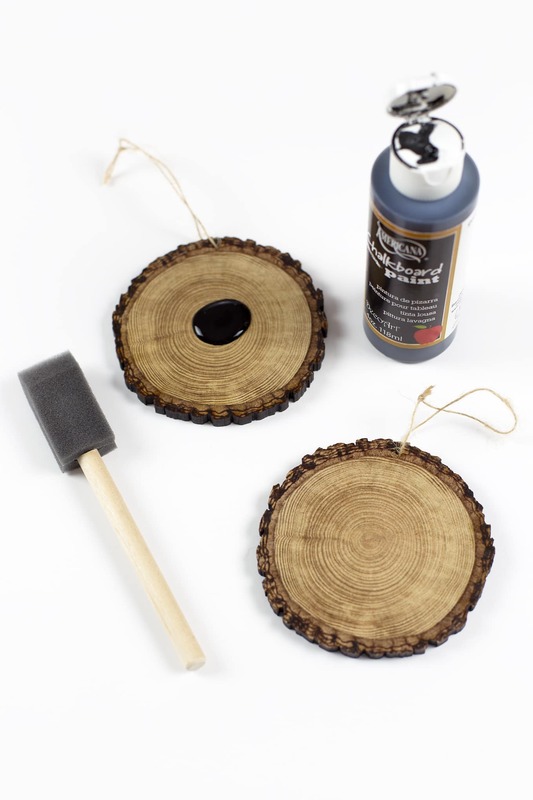 If you use our suggested supplies, there is no reason to seal the ornament, as the permanent chalk marker and chalkboard paint never fades or rubs away. Both boys drew pictures of themselves in the summer, with my youngest son adding the companionship of our family dog. Tip: If you are having trouble locating permanent chalk markers, try using silver or gold Sharpie markers. 3. 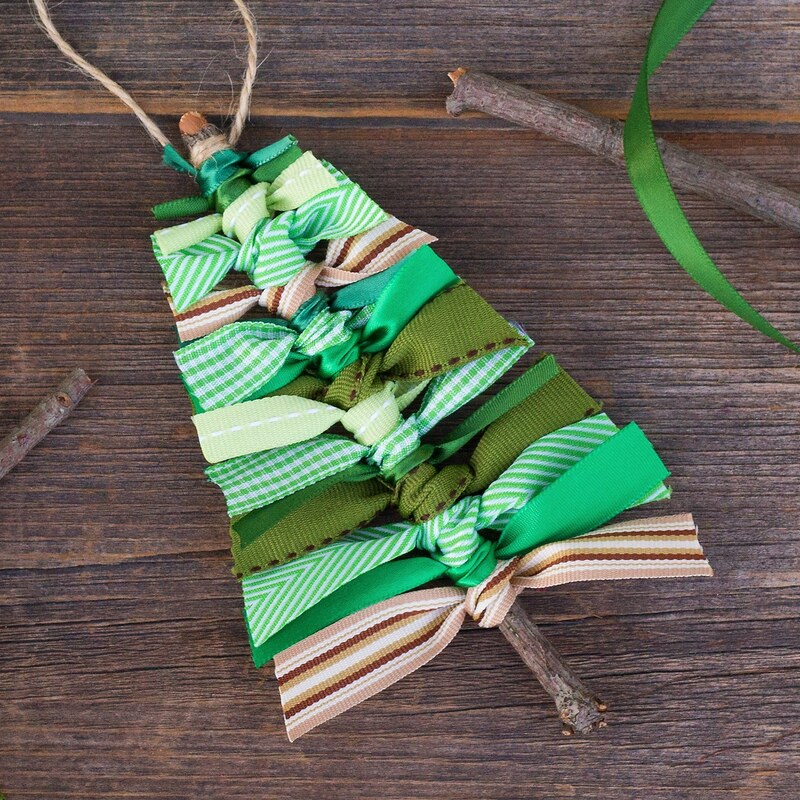 Our ornaments came with twine already attached, but if yours don’t, tie a small loop of thin twine through the hole. 4. 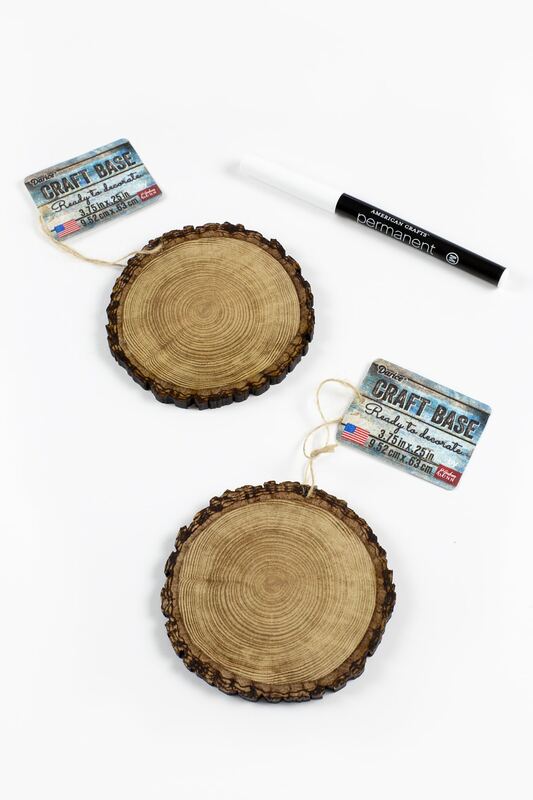 Be sure to have your children personalize the ornament with their signature and the date on the back of the ornament. Aren’t they sweet? 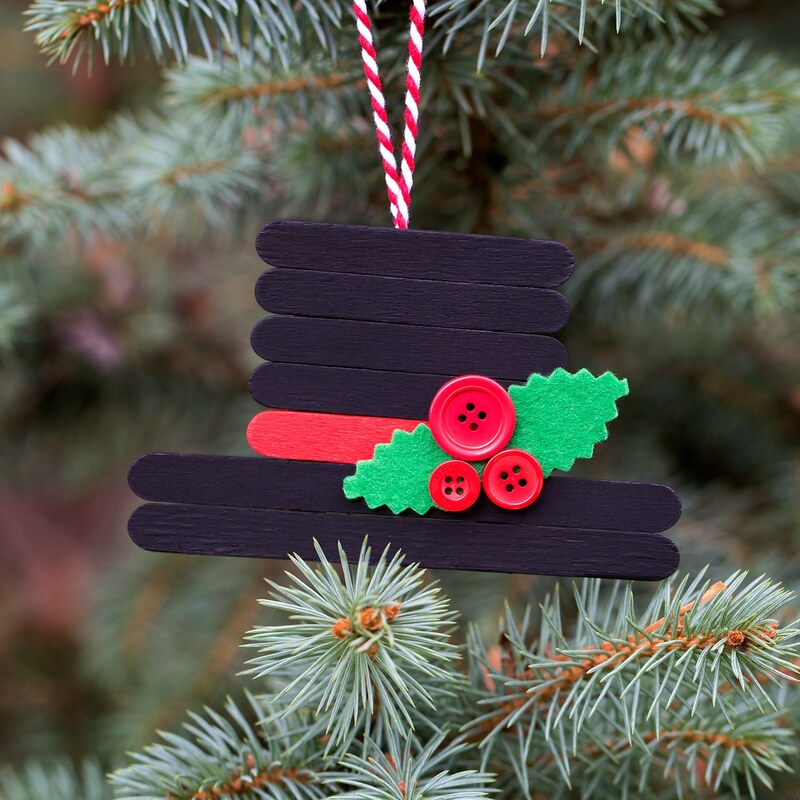 These darling chalkboard ornaments are my favorite to put on our Christmas tree each year! 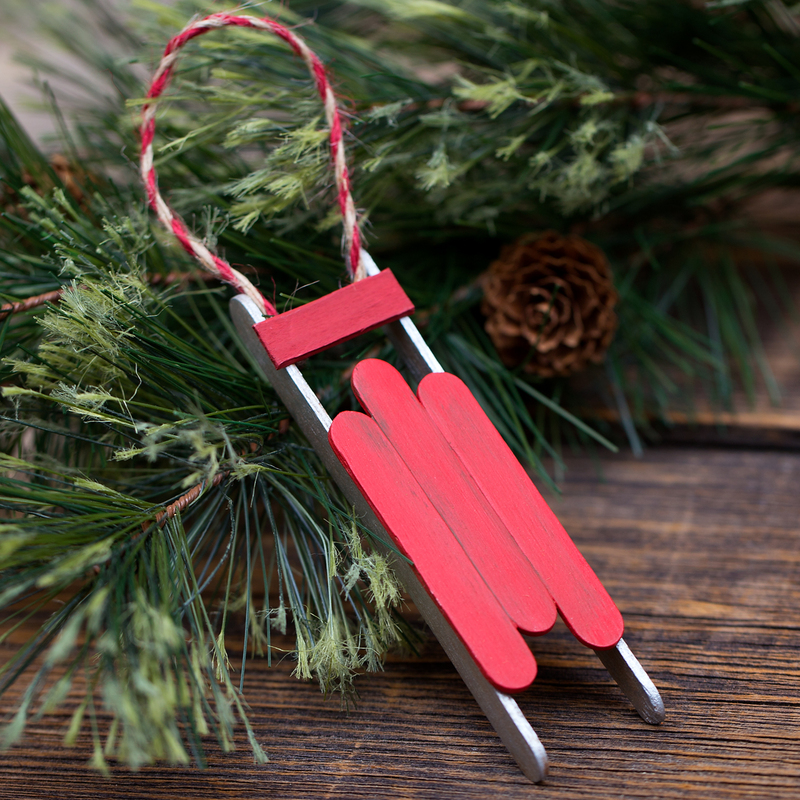 Click the images below to view more easy Christmas ornaments for kids. This post was originally published November 21, 2016. 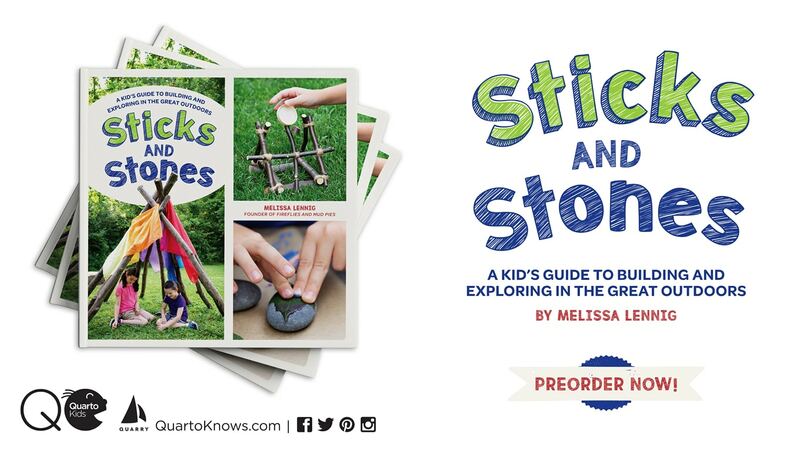 I love this idea and would like to have my preshoolers try it for parent gifts this year for something different. Do you think this would work with Sharpie markers on the chalk paint instead? Alternately, would non permanent chalk markers with a coat of varnish work to protect it? I’d like to give them more than just a few color choices and am having problems locating colored permanent chalk. Thank you!